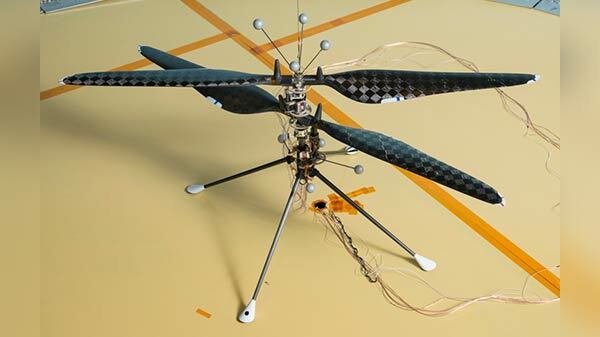 NASA plans to send a robotic helicopter to the Red Planet. NASA's Mars Helicopter has successfully finished its test flights. The spacecraft is designed to fly in thin atmosphere and low gravity of the Red Planet. According to NASA, the helicopter will commence its journey to in 2020. The helicopter weighs no more than 1.8kg and is currently undergoing through the rigorous verification process that is required before it could go to the Red Planet. The spacecraft will have to withstand extremely cold temperatures, including nights with temperatures as low as minus 90 degrees Celcius. The US space agency is scheduled to reach the surface of Mars in February 2021. "Mars Helicopter, a small, autonomous rotorcraft, will travel with the agency's Mars 2020 rover mission, currently scheduled to launch in July 2020, demonstrate the viability and potential of heavier-than-air vehicles on the Red Plane," said NASA. NASA's chief admin Jim Bridenstine said, "The idea of a helicopter flying the skies of another planet is thrilling. The Mars Helicopter holds much promise for our future science, discovery, and exploration missions to Mars." Besides, NASA has also hinted that the first person to ever set foot on Mars could be a woman. "It's likely to be a woman, the first next person on the Moon. It's also true that the first person on Mars is likely to be a woman," CNN cited Bridenstine on a radio talk show "Science Friday."